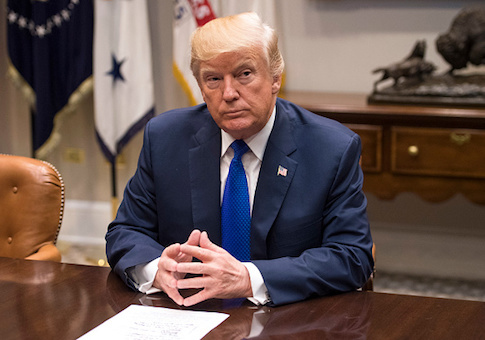 The White House released a list of judicial nominees on Tuesday night that President Donald Trump plans to renominate. The list contains the names of 51 individuals the Trump administration put forward in the last Congress but were not acted upon. During the 115th Congress, Senate Republicans were able to confirm 53 district judges, 30 judges for the court of appeals and two Supreme Court justices. This list of nominees looks to build on the success the Trump administration and Senate Republicans have had when it comes to filling out the judicial branch. Included in the list of nominees is Neomi J. Rao. She is nominated to be the circuit judge for the District of Columbia Circuit, Supreme Court Justice Brett Kavanaugh's former job. Rao currently serves as the administrator of the Office of Information and Regulatory Affairs. Her nomination came under fire by the progressive group Alliance for Justice for articles Rao wrote while in college. Other nominees have faced scrutiny by Democrats and progressives. Sen. Kamala Harris (D., Calif.) and Sen. Maize Hirono (D., Hawaii) questioned judicial nominee Brian Buescher's membership in the Knights of Columbus. The senators raised questions about the Catholic group's "extreme positions" in regards to gay marriage and abortion. Democrats in the past have attacked other judicial nominees over their Catholic faith. Sen. Dianne Feinstein (D., Calif.) infamously told then judicial nominee Amy Coney Barrett "the dogma lives loudly in you," during her confirmation hearings. The Judicial Crisis Network, a conservative advocacy group, announced a $1.5 national campaign ad buy intended to put pressure on Senate Democrats. The group wants Democrats to stop "bullying" and to confirm the nominees. "Because of Democrats’ unprecedented obstruction of judicial nominees we now have significantly more vacancies than when President Trump took office. Senator McConnell has restated his commitment to filling the vacancies and has maintained that this is a Senate priority. It’s time for Democrats to end the bullying and smear campaigns and confirm the judges," said Carrie Severino, the chief counsel and policy director at JCN. There are currently 163 judicial vacancies in the country. This entry was posted in Issues and tagged Senate Democrats, Trump Administration. Bookmark the permalink.